Many guns today, whether side-by-side or over-and-under, are made to very similar designs. 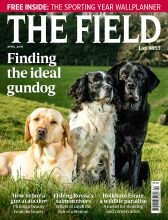 A few, tested by time, field use and the market, tend to dominate – the Anson and Deeley boxlock, the Purdey Beesley and Holland sidelocks, Boss, Browning and Beretta over-and-unders.  There are, however, other designs probably as good but far less frequently encountered. The subject of this month’s test, a 20-bore built in the workshop of Hervé Bruchet in St Etienne, France and made on the Damon Petrick action under the Darne name (which Bruchet now owns), is such a gun. First impressions were not immediately overwhelming. A blued action with small gold-bird inlays and subtle border engraving did not really bring out the best in what is a most interesting shotgun. It might be added that the Damon Petrick-style over-and-under has an excellent reputation among French gunsmiths. Low in profile, its most intriguing feature is a bolting mechanism that involves a sliding top cover like a Krieghoff or Remington 32 (which it may have inspired). 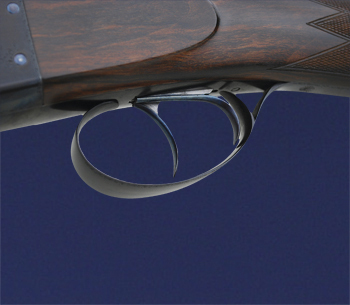 The primary lumps for hinging are bifurcated (two rear lugs extend in the action body for extra strength), and the barrels pivot on studs at the action knuckle like a Beretta or Woodward. Before progressing further, I should note that the test gun – not to be confused, of course, with the classic Darne side-by-side with sliding breech and vertical opening lever – was found on the shelves of the West London Shooting School, where it had been left as an example of Bruchet’s work. The price tag was £11,000, which seemed a little steep, but the pound has slipped sharply against the euro. This Damon Petrick Darne may be a bit plain at first glance but it is a bench-made product of an artisan workshop with a considerable family tradition. The gun has quality. Save for the gold, it is reminiscent of some of the better-grade London and Birmingham guns that were made deliberately plain. Dry-handling qualities are good. It feels well balanced and solid. 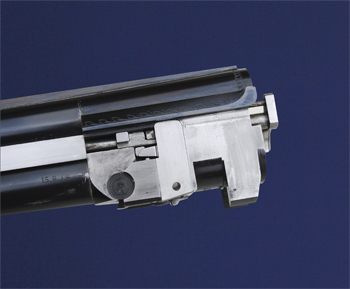 All-up weight is 63⁄4lb, mid-weight for a 20-bore over-and-under. The form and finish (traditional hand-rubbed oil) of the straight-hand stock are good and the chequering excellent. The stock showed more drop at heel than the British average, though this is typical of French guns. The 271⁄2in, 2¾in-chambered barrels are monobloc and choked half and three-quarters (tight enough to offer opportunity for regulation). They are struck up competently, put together well and have solid joining ribs and a solid, narrow, sighting rib. The traditional metal bead at the muzzles is well proportioned to the rib. The quality of the barrel-making, actioning and stockwork is superb. This is, generally, a gun that impresses the more it is scrutinised. It has evidently been made on the bench and has an integrity that can only be achieved by traditional methods and skilled hands.